This is definitely one of my favorite recipes that I have made recently. The meat was so tender and the sauce was delicious. 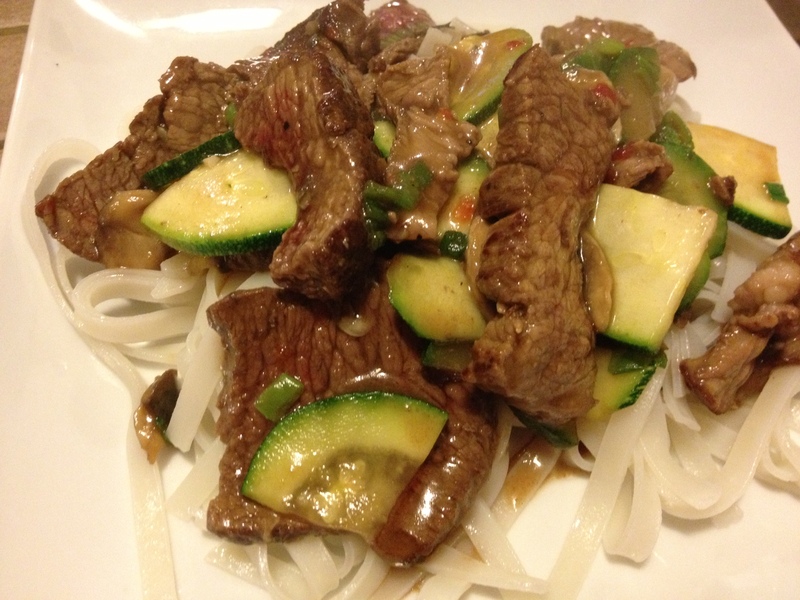 Anything served over noodles is alright by me…this combine juicy beef, delicious zucchini and mushrooms and awesome Pad Thai noodles. The sauce is just great and, the best part, it makes a ton of food!!! Combine all these ingredients. Set aside. Tip: For a vegetarian option, use tofu instead of beef! Sear the tofu in some olive oil so it’s nice and crispy! 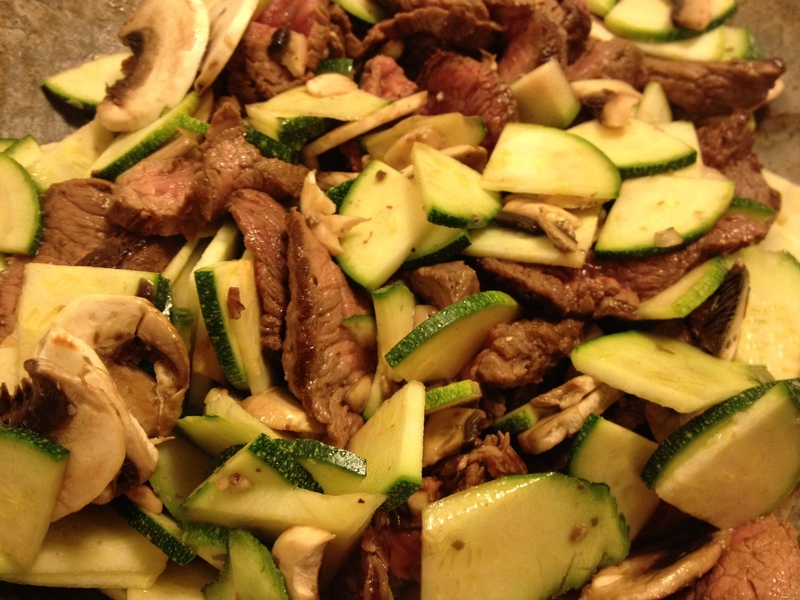 Cut into cubes and toss into the wok or skillet at the end. Mix to combine and heat through. Heat olive oil over high heat in a skillet. Sear one side of the steaks over high heat for several minutes. 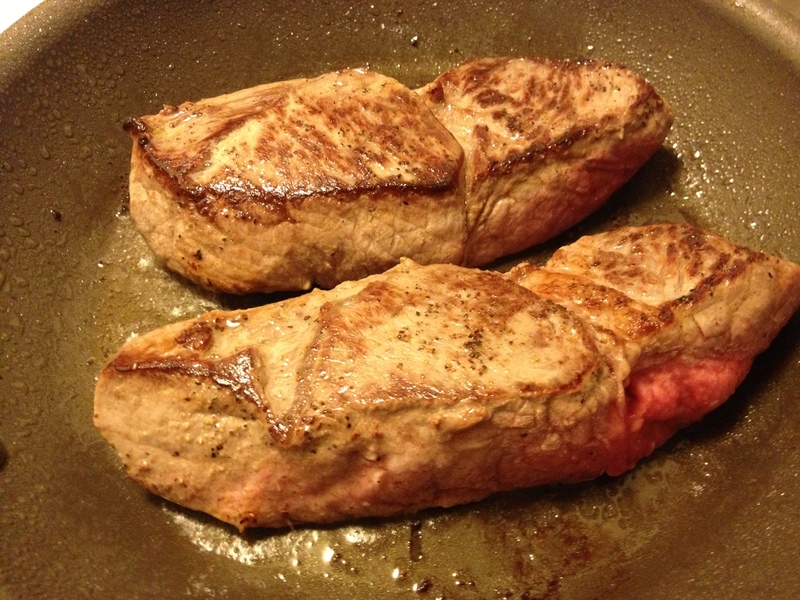 Tip: You know the steaks are ready to turn over when you can pull them up out of the skillet without them sticking. (If you are using a non-stick skillet, this rule will not apply). Sear a couple of more minutes until the other side is brown. 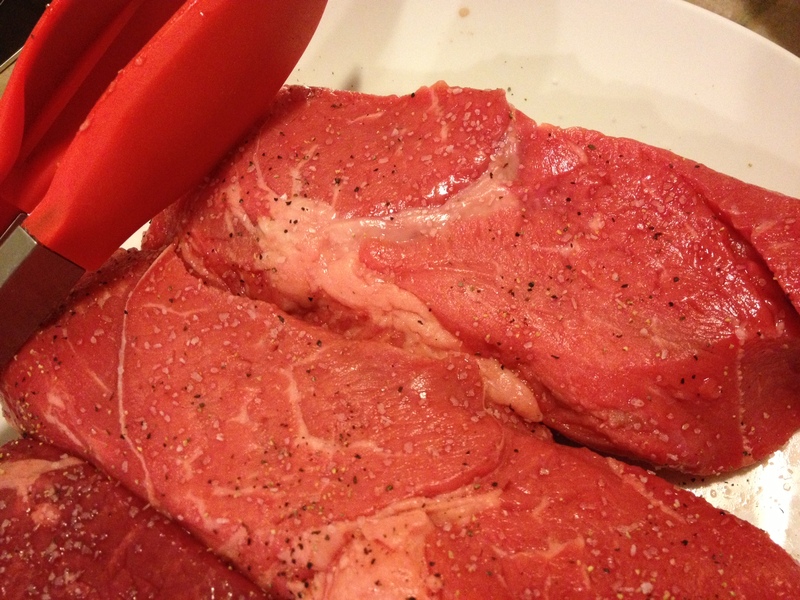 Don’t worry about the steaks being cooked all the way through…we will finish cooking it in a bit. 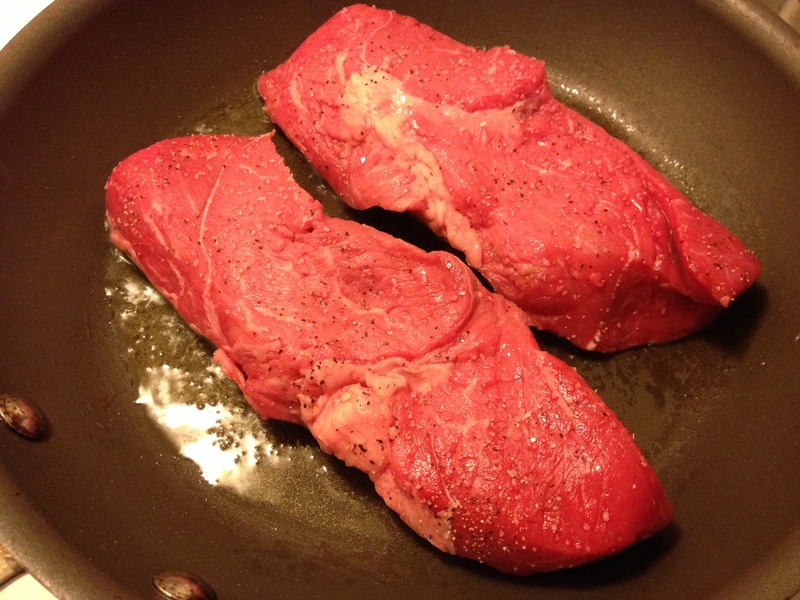 Cut the steak in slices against the grain (perpendicular to the direction of the grain). Heat olive oil in a wok or large skillet. 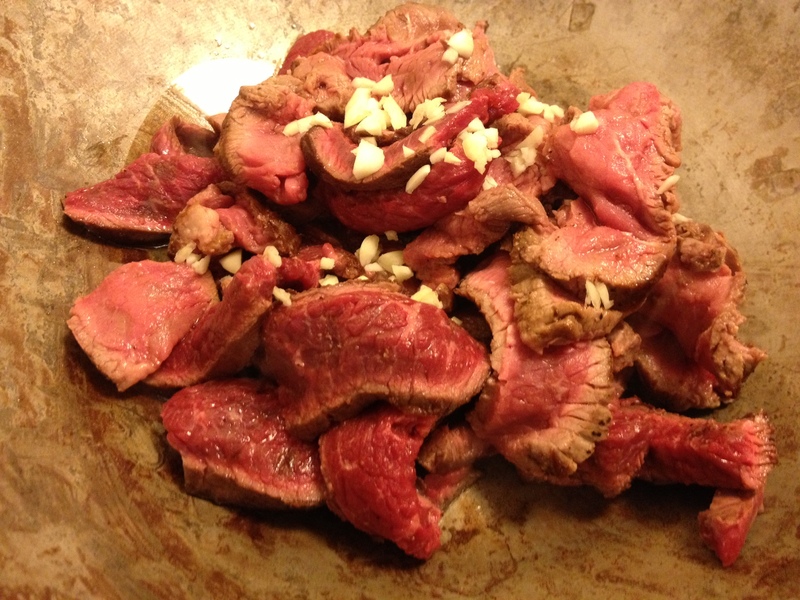 Add beef and garlic. 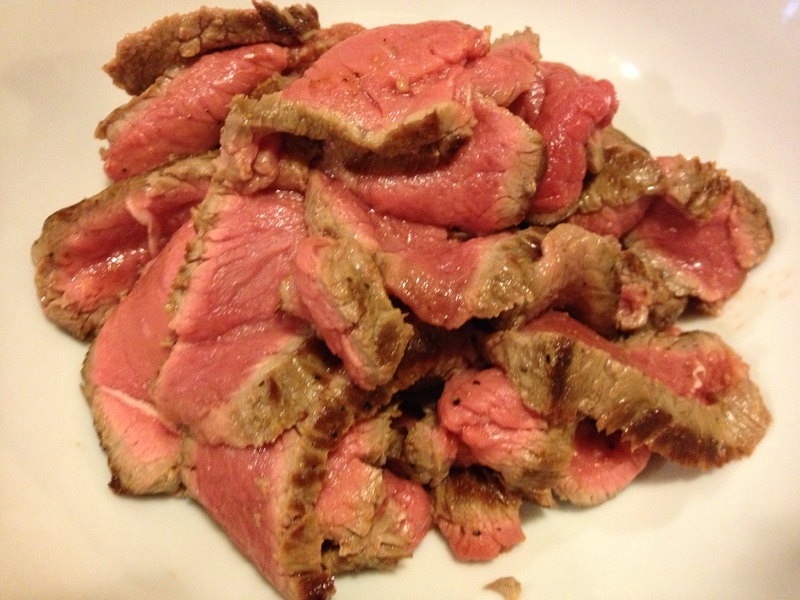 Cook beef for a 2-3 minutes until it begins to brown. Cook all the ingredients together for about 5 minutes, or until vegetables are tender. Add green onions. 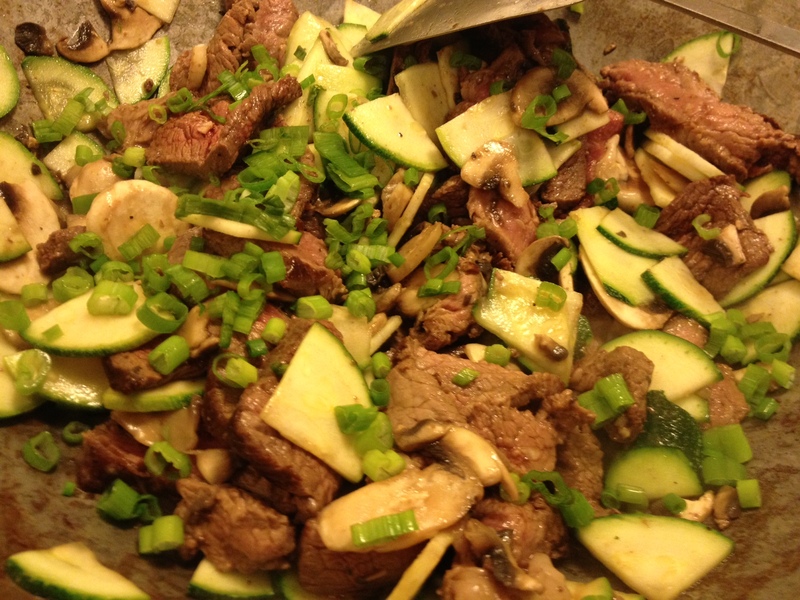 Add soy sauce mixture to meat and vegetables. Cook until sauce is heated through and starts to thicken, about 1 minute. Serve the mixture on top of your Pad Thai noodles. This should make 8 servings! Yum yum! Tip: I prefer the Pad Thai noodles where you can just soak them in hot water for a while. I have the most luck getting these the right consistency.